Our Perimeter System protection unit is a high pressure odour control unit designed to provide protection against unpleasant odours escaping past site boundaries. 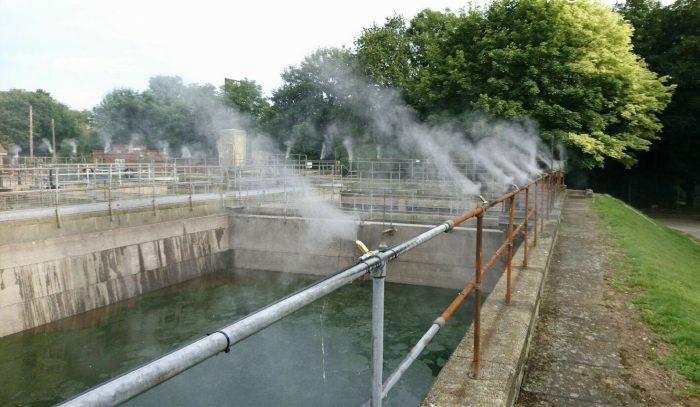 To achieve this, an odour control chemical is automatically dosed into the system, this diluted with water is pumped though a series of misting nozzles around the boundary. The fine mist produced absorbs and neutralizes odours as they pass through the air, falls to the ground and is biodegraded. The nozzles are of high tech and are self cleaning therefore no blockages. 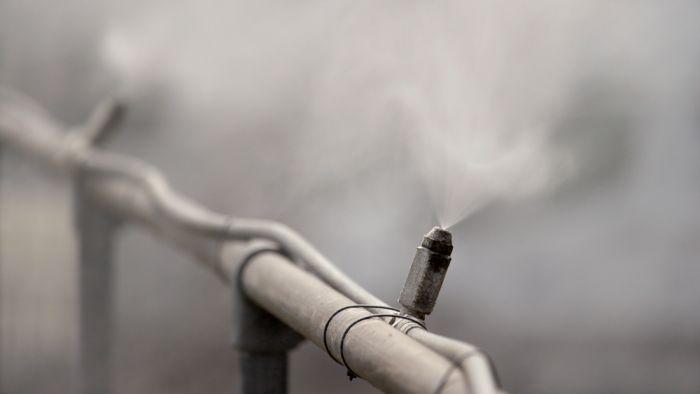 The mist is a fogging mist that can reach up to 20 meters for excellent coverage and to treat odour at source. The option to have a wind speed and direction fitted to your system is an advantage. The systems are operational only when wind in blowing from selected direction at a set speed. Up to eight directions can easily be programmed into the unit by the user. Where the option is provided, a manual over-ride selector switch is fitted as standard.